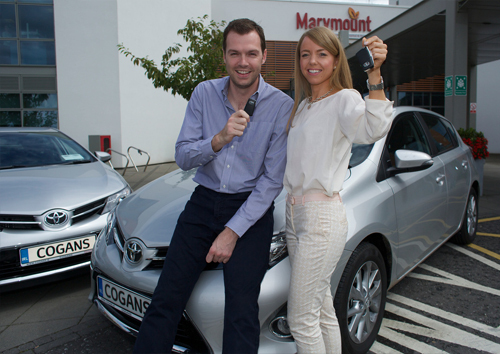 To show our commitment to Marymount Hospice, we have upgraded the two Auris models that we donated to the Community Palliative Care Team last year with two new 142 Toyota vehicles. These new Auris models will be used as transport around the city and county by Community Palliative Care Team who provides the important service of treatment of patients in the comfort of their own homes. The presentation of the keys took place in the grounds of Marymount Hospice, Curraheen, with Robert Cogan, Managing Director handing the keys over to Dan Cowman, the Chairman of the Friends of Marymount. 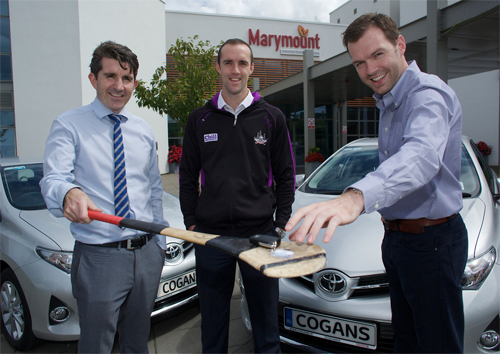 Pictured L-R:,Robert Cogan, Cogans Carrigaline, Stephen Mc Donnell, Cork Senior Hurler and Dan Cowman, Friends of Marymount.